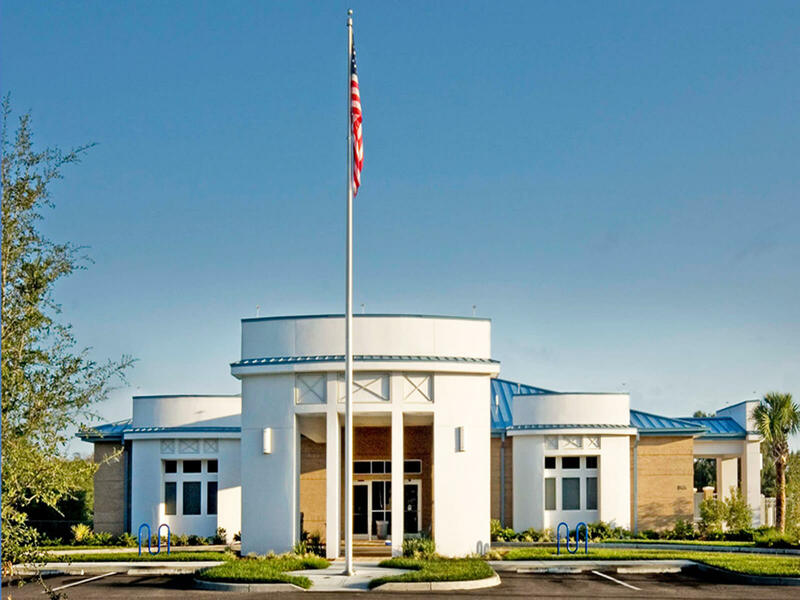 FleischmanGarcia was retained to design the Bloomingdale Regional Library by Hillsborough County. 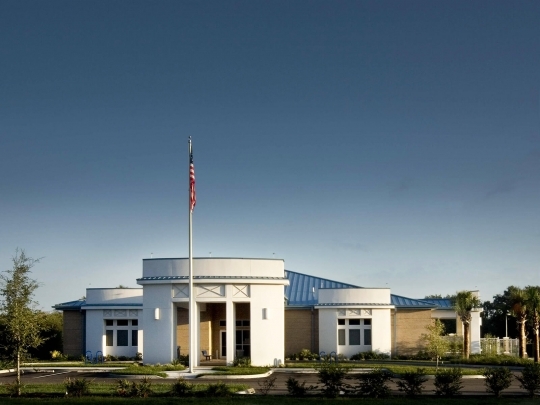 The building has a contemporary aesthetic, with sand brick, curved window projections with decorative metal panels and a metal standing-seam roof. 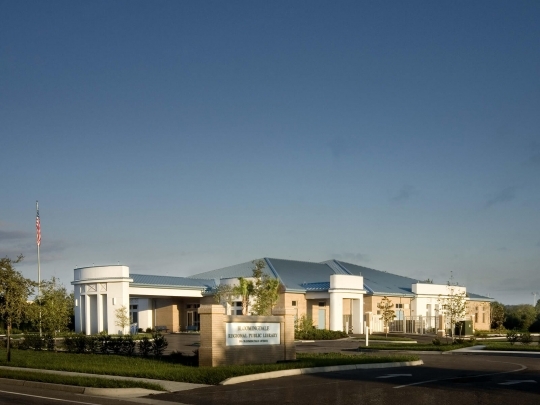 Bloomingdale Regional Public Library was also designed to accommodate a 10,000 sq. ft. addition at a later date. The library offers a full range of library services including books, magazines, compact disks, DVDs, internet access and a wide variety of programs for children and adults. 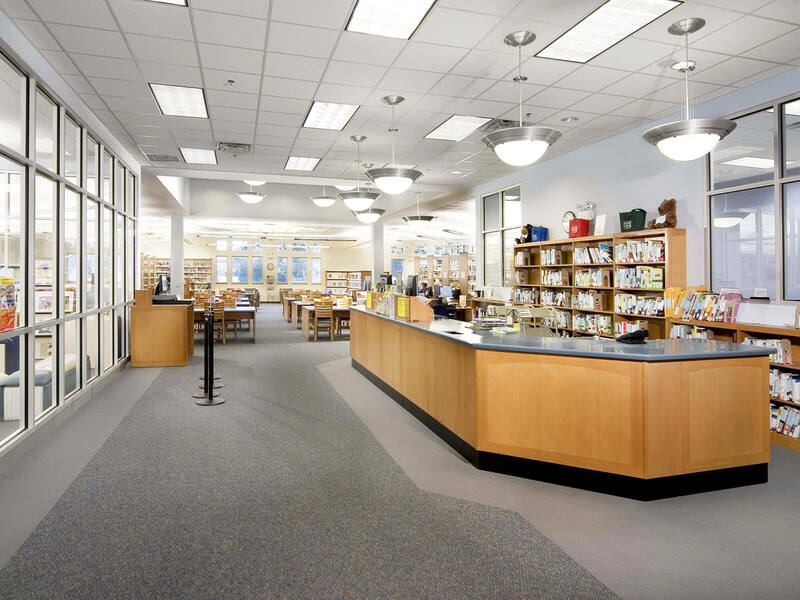 In addition, there is a separate glassed-in children's room, which allows for small groups of children to have "story time" without disturbing patrons in the main reading room. The library also has ample meeting space, with group study and tutoring rooms adjacent to the main reading room that can be reserved in advance for group or individual study sessions. 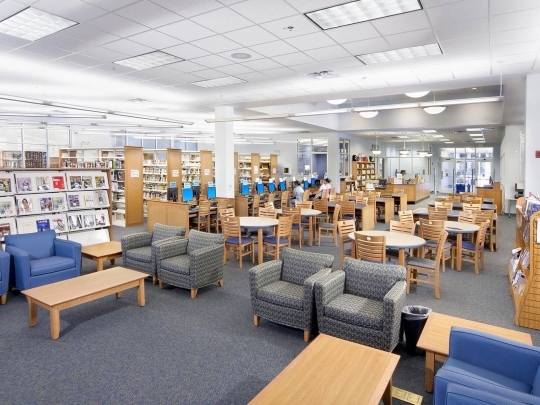 The community and "Friends of the Library" rooms are located off the main lobby, and allow for the general public and non-profit groups to hold after-hour meetings and functions.